Joseph D. Birdsall | Wisconsin Labor and Employment Lawyer | Lindner & Marsack, S.C.
Joseph D. Birdsall is an associate at Lindner & Marsack, S.C. whose practice is dedicated to zealously defending worker’s compensation claims against self-insured employer and insurance industry clients. Mr. Birdsall has a wide range of industry experience, having represented municipalities, insurance companies, and corporations large and small. He is an experienced writer and presenter on the latest developments in Wisconsin worker’s compensation law. Mr. Birdsall received his Juris Doctor from Marquette University Law School with certificates in Litigation and Alternative Dispute Resolution. He received his Bachelor of Business Administration in Management and Human Resources from the Wisconsin School of Business at the University of Wisconsin – Madison. 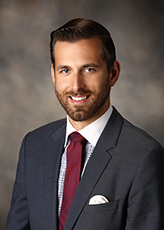 While in law school, Mr. Birdsall served on the Moot Court Executive Board, received the CALI Excellence for the Future Award in Negotiations, and interned for The Honorable Kitty K. Brennan, Wisconsin Court of Appeals District I.
Mr. Birdsall is licensed to practice law in the State of Wisconsin. He is a member of the State Bar of Wisconsin, the American Bar Association, and the Wisconsin Association of Worker’s Compensation Attorneys (WAWCA).